Point 2 of Deming’s 14 Points. This is how Deming described the new philosophy in Out of the Crisis (1983). We can no longer tolerate commonly accepted levels of mistakes, defects, material not suited for the job, people on the job that do not know what the job is and are afraid to ask, handling damage, antiquated methods of training on the job, inadequate and ineffective supervision, management not rooted in the company, job hopping in management, buses and trains late or even cancelled because a driver failed to show up. Filth and vandalism raise the cost of living and, as any psychologist can aver, lead to slovenly work and to dissatisfaction with life and with the workplace. It’s sometimes easy to forget how materially shabby life was in the 1970s and early 1980s. Deming certainly summed up the way many people felt. Yet the 1980s and beyond brought a stream of high quality, low cost consumer goods. Just think of motor cars and cameras. It is easy to feel that the “new philosophy” is now entrenched. But there remain vast areas of unsatisfactory customer service. I recently had some exchanges with David Gaster about problems he was having with an HP computer. Anyone in the UK who has tried to get BT Sport working knows the meaning of frustration. Around a decade ago, W. Chan Kim promoted what he described as the Blue Ocean strategy. This turned out to be largely a repackaging of Noriaki Kano’s Attractive Quality Creation (AQC). Broadly, a business aspires to free itself of competitive pressures by developing novel products, value streams and market sectors. 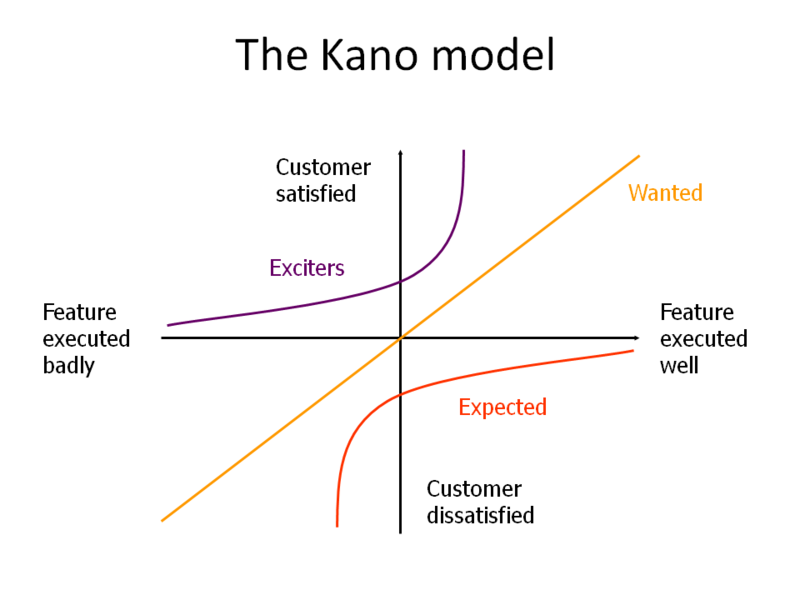 This represents an ambition to locate a business on the “exciter” curve of the Kano model. One of the lessons of the Kano model is that customers on the “exciter” curve are not so bothered about reliability. It’s just great to have the stuff. It is easy to see how, in 21st century tech industries surfing the blue ocean, service is not a priority. Product development reigns. Time to market may be critical. The Kano model equally makes it clear that the customer of a product or service on the “expected” curve is intolerant of quality lapses. Performance is taken for granted and defects represent sensible pain. They are remembered and shared among sympathetic peers. This is what Kim referred to as the red ocean where sellers compete in mature markets for share by driving down costs. Kim saw this as a world of inevitable diminishing returns where corporations face the perpetual threat of extinction through failing price competitiveness. Aspirations to improving quality are inhibited by managers’ fear that they operate in a market for lemons, where such improvements are not rewarded in price or volume advantage. Steven Denning has criticised views like Kim’s, emphasising that customer value and quality are important even in the red ocean. Denning criticises corporations, as did Deming, for preferring to cut costs rather than invest in innovation. Where there is surplus workforce, layoff is almost always preferred over redeployment in novel value creating activities. Of course, that is what we would expect from Daniel Ellsberg’s theory of ambiguity aversion. Ultimately, innovation may not be the red ocean corporation’s comparative advantage. It may well be best for everybody that skilled people are released from the red ocean corporation so that they can resource the blue ocean corporation. It requires superb management of intangible assets for a corporation even to attempt to redeploy its own resource from growing systematic productivity to new product launch. The red ocean is not a hopeless place to be. There is always opportunity for product differentiation. When I worked in the automotive constant velocity joint business in the early 1990s we were all compelled to recite every morning “There is no such thing as a commodity product”. Yet the reality is that there are not only two colours of ocean. Once a product is launched into the blue ocean, as Kano predicted, it starts the steady drift down the spectrum towards the red. Quality and cost become increasingly important. To a great extent, competitiveness in the, say, green ocean will depend critically on decisions made in the ultra-violet of product development. In the present day, many gains in quality have been made. The low hanging fruit have gone. Competitive advantage is still to be had in improving quality as a strategy for reducing costs while capturing customer prestige. There is no such thing as a commodity product. Even the infra-red ocean of commodities presents opportunities to the astute. Deming’s message that understanding of variation is central to embedding quality in design and redesign, and in incremental improvement of production, remains a potent means to capture market. An opportunity that remains to be exploited by most businesses. The doubt then arises as to why the market has not forced indefinite quality improvement on mature products to the extent that Deming advocated and envisioned. Deming certainly believed that the market itself was not enough. He believed that change would come from some movement of national renewal in the US that would then spread globally. Unfortunately no such movement has reached a critical mass and I fear that it is unlikely in the future. We must look to conventional market economics. One economic analysis would be that the fear of a market for lemons acts as a disincentive to seek quality. However, liberal economists such as William L Anderson have emphasised the extent to which lemon markets provide opportunities for entrepreneurs. 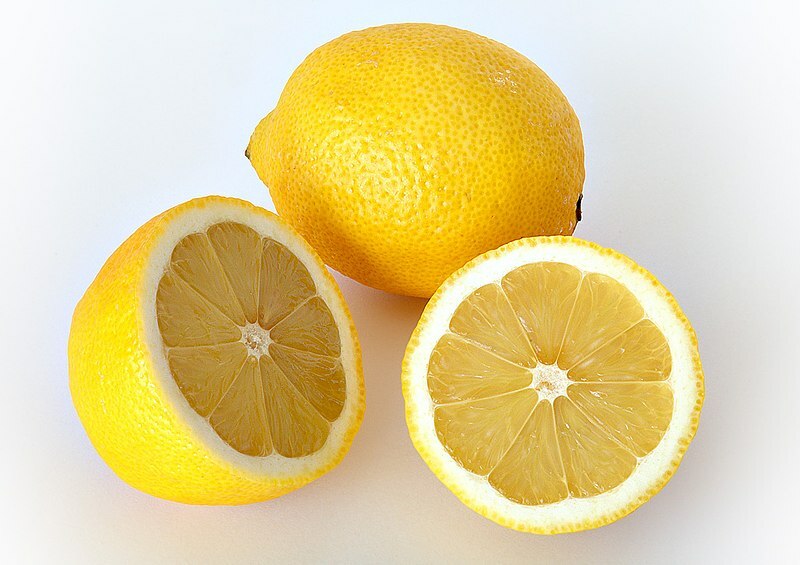 Fear of a lemon market betrays a lack of confidence in branding, marketing and reputation management. There are always business opportunities for people who pick an established market and find an excellent way to supply it. Put your sticker on the lemon and work at building reputation. The automotive industry in the 1980s and 1990s is an example of how the market forces of global over-capacity drove quality improvement and cost reduction. Deming’s insights into understanding variation provide the means. All stragglers kick themselves that they failed to take up opportunities that were there for the taking but ultimately grabbed by others. Cost of Poor Quality (CoPQ) v. Taguchi loss function. My 20 December 2013 post on W Edwards Deming attracted quite a lot of interest. The response inspired me to take a detailed look at his ideas 20 years on, starting with his 14 Points. Deming’s 14 Points for Management are his best remembered takeaway. Deming put them forward as representative of the principles adopted by Japanese industry in its rise from 1950 to the prestigious position it held in manufacturing at the beginning of the 1980s. Point 1. Create constancy of purpose toward improvement of product and service, with the aim to become competitive and to stay in business, and to provide jobs. In his 1983 elaboration of the point in Out of the Crisis, Deming explained what he meant. Managing a business was not only about exploiting existing products and processes to generate a stream of profits. It was also about re-inventing those products and processes, innovating and developing to retain and capture market. Deming was fearful that management focused too much on short term profits from existing products and services, and that an effort of leadership was needed to reorient attention and resource towards design and development. The “improvement” that Deming was referring to is that through design and redesign, not simply the incremental improvement of existing value streams. Critically, Deming saw design and redesign as a key business process that should itself be the target of incremental continual improvement. Design and re-design was not an ad hoc project initiated by some rare, once in a generation sea-change in the market or motivated by a startling idea from an employee. It was a routine and “constant” part of the business of a business. Some of Deming’s latter day followers sometimes deprecate the radical redesign of processes in approaches such as Business Process Re-engineering, and instead promote the incremental improvement of existing processes by those who work in them. That is exactly the approach that Deming was warning against in Point 1. It is worth recalling the economic and geographic climate within which Deming put forwards this principle. During the early 1980s, the US and Western Europe suffered a significant recession, their populations beset with the dual evils of unemployment and inflation. The economic insecurities were aggravated by social unrest in the West and the intensification of the Cold War. Bright young theorists tend to think of every problem in game theoretic terms, including problems that are easier to think of in other forms. … triumph of a focussed, patient, coherent, consensual culture, a reflection of dedicated operational efficiency, or else a combination of the two. Certainly in my own automotive industry days, my employer had come to see its most successful products literally as commodities. They belatedly realised that, while they had been treating them as a mere income stream, admittedly spent largely on unsuccessful attempts to develop radical new products, Japanese competitors had been filing dozens of patents each year making incremental improvement to design and function, and threatening the company’s core revenues. But did Deming choose the right target and, in any event, does the exhortation remain cogent? It feels in 2014 as though we all have much more appetite for innovation, invention and product design than we had in 1983. Blogs extol virtues of and strategies for entrepreneurship. Slogans proliferate such as “Fail early, fail fast, fail often”. It is not clear from this web activity whether innovation is being backed by capital. However, the very rate of technological change in society suggests that capital is backing novelty rather than simply engaging in the rent seeking that Hayes and Abernathy feared. In 2007 Hayes reflected on his 1980 work. He felt that his views had become mainstream and uncontroversial, and been largely adopted in corporations. However, information and globalisation had created a new set of essentials to be addressed and to become part of the general competencies of a manager (“Managing Our Way… A Retrospective by Robert H. Hayes” Harvard Business Review, July-August 2007, 138-149). I remain unpersuaded that there has been such a broadening in the skill set of managers. The game theorists, data scientists and economists seem to remain in the ascendancy. Whatever change of mind in attitudes to design has taken place, it has happened against a background where CEOs still hop industries. There are other explanations for lack of innovation. Daniel Ellsberg’s principle of ambiguity aversion predicts that quantifiable risks that are apparent from visible accounts will tend to be preferred over ambiguous returns on future inventions, even by subject matter experts. Prevailing comparative advantages may point some corporations away from research. Further, capital flows were particularly difficult in the early 1980s recession. Liberalisation of markets and the rolling back of the state in the 1980s led to more efficient allocation of capital and coincided with a palpable increase in the volume, variety and quality of available consumer goods in the West. There is no guarantee against a failure of strategy. My automotive employer hadn’t missed the importance of new product development but they made a strategic mistake in allocating resources. Further, psychologist Daniel Kahneman found evidence for a balancing undue optimism about future business, referring to “entrepreneurial delusions” and “competition neglect”, two aspects of What you see is all there is. (Thinking, Fast and Slow, 2011, Chapter 24). So Deming and others were right to draw attention to Western under performance in product design. However, I suspect that the adoption of a more design led culture is largely due to macroeconomic forces rather than exhortations. There is still much to learn, however, in balancing the opportunities apparent from visible accounts with the uncertainties of imagined future income streams. I think there remains an important message, perhaps a Point 1 for the 21st Century. There’s a problem bigger than the one you’re working on. Don’t ignore it!